A recent report by PTI claims that the company might sell over 200 million units of the Jio 4G VoLTE feature phone in two years. The report goes on stating that Reliance has not decided on the final pricing of the feature phone, but it will be within Rs.1,500. Also, the feature phone will be smart with pre-loaded apps such as Jio TV, Jio Money, and more. The source also claims that the handset will support Wi-Fi and a cable port in order to connect it to the TV sets to watch Jio TV. It is clear that Reliance is aiming at the 2G users in the country who cannot afford to buy expensive smartphones and end up paying huge mobile bills. The 4G VoLTE support and bundled free Jio voice calls will encourage them to buy the Reliance feature phone. 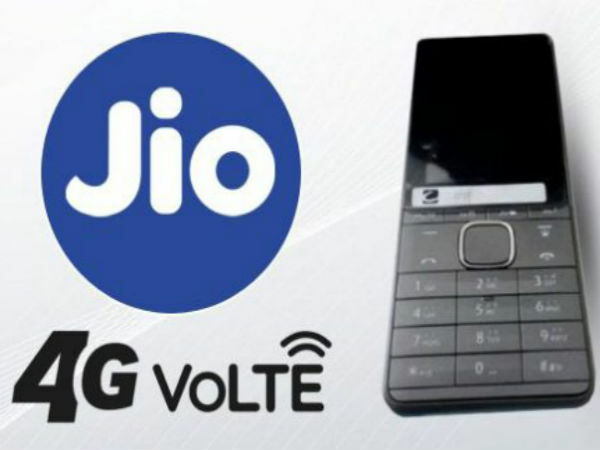 We have already come across reports that Jio is in discussion with some Chinese vendors as well as the domestic manufacturer Intex to make the 4G VoLTE feature phone. There also speculations that the company might team up with Foxconn for the manufacturing of this handset. The report tips that Jio plans to sell around 10 million units at first and then gradually increase it to 100 million the first year and then add another 100 million units the next year.